Utilising patented professional RAGE® technology; easily cuts Steel, Aluminium, Wood (even wood with nails) and Plastic, using just one blade. 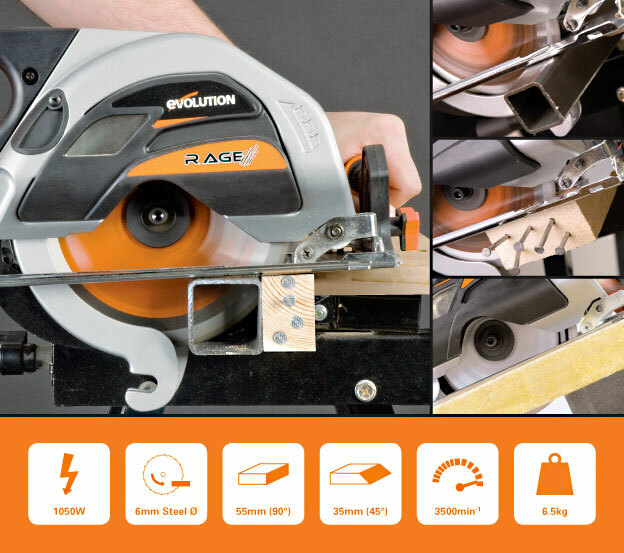 The RAGE® blade system cuts up to 50m of 6mm Steel plate! 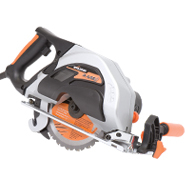 0-45° bevel tilt enhances the versatility of the saw. Other features include a safety switch with overload protection and an auto-debris collection system, which collects chippings automatically. 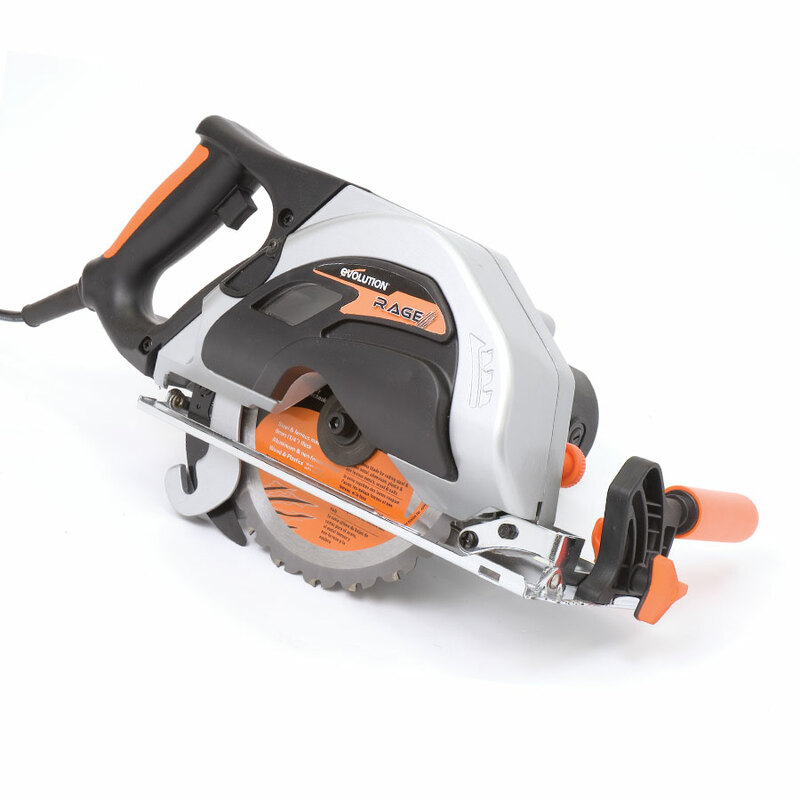 Don't Forget: Evolution's optional 185mm Diamond Blade available for cutting Stone, Concrete & Brick. With this accessory, the RAGE® is the complete cutting package! When you can buy a RAGE multipurpose saw!